A Taiwanese company gets paid twice for transferring trademark to Apple. What's in a name? That which we call an iPad by any other name would smell as sweet - or vaguely chemical - but it wouldn't have cost Apple $60 million. That's the price Apple just paid to acquire the right to use the iPad name in mainland China, and all because of a snafu that occurred when it bought the rights from Taiwanese company Proview back in 2009, for $55,000. 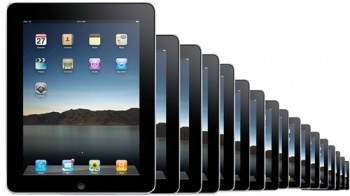 Proview had sold Apple the right to use the iPad name in mainland China - rights which went back to 2001 when Proview registered the iPad trademark - but neglected to transfer those rights even after it signed the 2009 agreement. It was alleged - and a Hong Kong court agreed - that the Taiwanese businessman who owned Proview had deliberately done this in order to injure Apple. A Hong Kong court ruling isn't binding in mainland China, so the trademark dispute raged on until the current arbitrated deal. Proview had been asking for $400 million and Xie Xianghui, a lawyer for the company, claimed that it was on the verge of bankruptcy. The deal was eventually reached because Proview needed the money to settle debts but, Xie alleged, even with the $60 million bailout it could still go under. Xie described the arrangement as "acceptable to both sides." Presumably that's "acceptable" in the same sense that a steak dinner is acceptable to both diner and cow. Apple's next step is to roll out the iPad 3 in mainland China as quickly as possible, and put this whole messy business behind them. $60 million is just a drop in the ocean to a company with their cash reserves; a considerably larger drop than $55,000, but still nothing to get too upset about.